We appreciate you taking time out of your day and allowing us to introduce you to Advanced Integrated Services. We have built our company and our reputation on providing excellent customer service. We have built business relationships based on service and mutual respect that have lasted over the years. We believe in providing our customers the best value for their dollar, and we have found that providing fair and honest recommendations keeps our customers coming back year after year. You can be confident that we will always stand behind the service you receive, and if a mistake is made we will make it right. We don’t believe in trying to intimidate a customer into spending money on upgrades that aren’t necessary and beneficial to their operation. 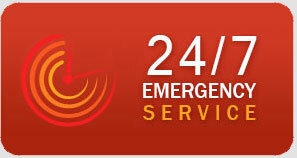 We will however provide the cost effective solution to whatever mechanical issues you are having.